Traditional toys with a contemporary update, these puppets and stacking blocks are like nothing we’ve seen before. We first became hooked on Luez Design and Play when we came across its House Wall Hooks. This New York brand has branched out, and we’re totally enamoured with its latest creations. 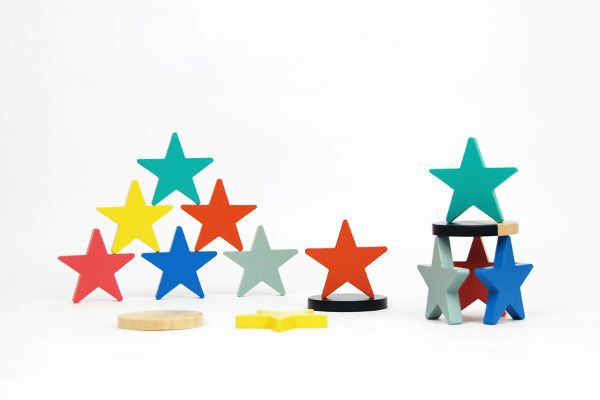 These Stacking Stars and Moons are a beautifully modern take on stacking blocks. They can be used to stack, build, count, sort and also look great as décor on a shelf. Made of maple and decorated with water-based paint, the 12 stars and three moons come in a cloth bag. They are recommended for children over the age of three, and cost US$16. Another great addition to the Luez catalogue for the over three set is the Puppets. 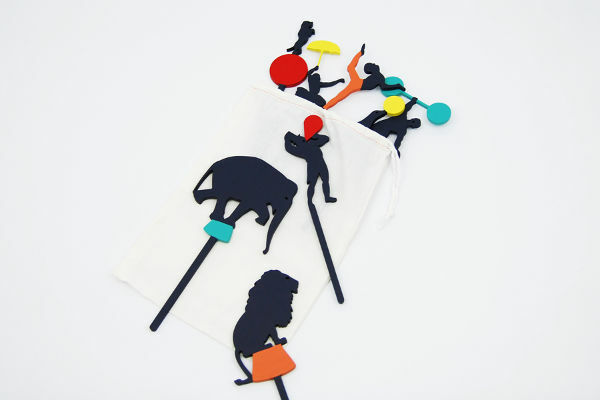 Using simple silhouettes and some bright hints of colour, the puppets can be used traditionally, or as shadow puppets. These would be great for some camping fun. 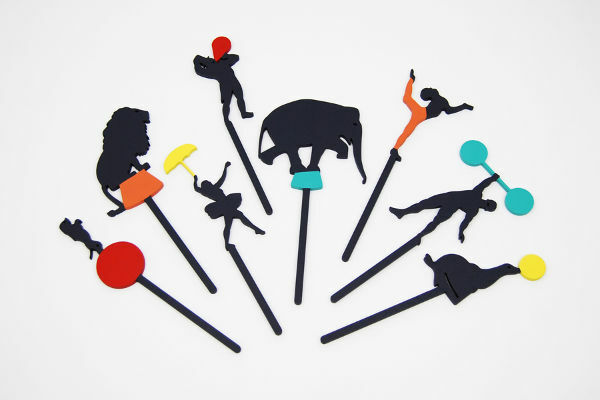 The Circus Puppets Set includes a ringmaster, strongman, tightrope walker, acrobat, lion, elephant, seal and dog. This set costs US$32, or puppets can be purchase individually for US$6. Shipping to Australia is available.